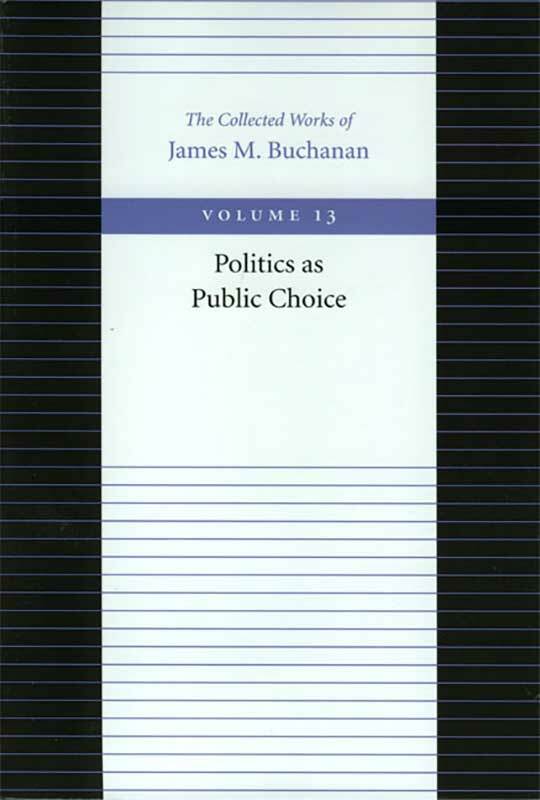 This volume presents a collection of thirty-four essays and shorter works by James M. Buchanan that represent the brilliance of his founding work on public-choice theory. The work of James M. Buchanan is perhaps most often associated with his helping to found public-choice theory. Buchanan’s book-length works such as The Calculus of Consent or The Reason of Rules (Volumes 3 and 10, respectively, in Liberty Fund’s The Collected Works of James M. Buchanan) are best known for their brilliant application of market behavioral models to government. But Buchanan’s shorter works represented here all show originality and insight as well as clear articulation of important theoretical principles. What’s more, these essays have all had a significant impact on the subsequent literature about public choice.